With Greek Medicine and Chinese Medicine, the parallels are a bit more remote, both geographically and conceptually. Nevertheless, there are similarities, and quite a few. Since both Greek Medicine and Ayurveda are humorally based, there's a stronger material slant or emphasis to both systems. Chinese Medicine, at least from a more cursory, superficial perspective, seems to be mainly about energy and function. Nevertheless, a lot of Chinese Medicine does involve vital essences and bodily fluids like blood and phlegm. So Greek Medicine and Chinese Medicine do actually have quite a lot in common. 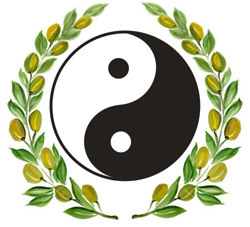 Perhaps the greatest similarity of overall philosophy and approach between Greek Medicine and Chinese Medicine is their emphasis on maintaining homeostasis, or a dynamic equilibrium between opposite yet complementary qualities and forces. This is beautifully embodied in the Chinese concept of Yin and Yang, and has its equivalent in the Greek medical doctrines of temperament and the Four Basic Qualities. Like Greek Medicine, Chinese Medicine is also involved wiht the study of qualitative environmental influences like heat, cold, moisture and dryness on the human body and its constituent parts. This involves the doctrine of the Six Pernicious Influences, or exogenous pathogenic factors: heat, cold, dryness, dampness, wind and summer heat. Chinese Medicine divides the major internal organs into deep, solid Zang organs and hollow, visceral Fu organs. This concept is roughly equivalent to the Greek division of the internal organs into the deeper, more important principal and noble organs and the attendant vessels, or the organs that serve them. In the Chinese system, it works out to a nice, neatly divided schema of twelve organs - six of them Zang and six of them Fu. In Greek Medicine, the principal / noble organs and their attendants aren't so neatly arranged. Some of Chinese Medicine's Zang / Fu organ pairs actually do have a functional principal / attendant relationship, like the kidneys and bladder, or the liver and gall bladder. In other pairs, like the heart and the small intestine, the relationship is more one of systematic convenience or resonant affinity by element. From a cursory, superficial examination of Chinese Medicine, it may appear that it has nothing to do with the Four Humors. But surface appearances can be misleading. Although Chinese Medicine has no obvious, systematic presentation of the humors, they are still very much a part of its practice. Many syndromes of organ disharmony involve phlegm, for instance; pathologies of blood are also part of the clinical picture. There are herbal pills to regulate and promote the flow of bile, and formulas to eliminate wind, which is probably Chinese Medicine's closest thing to melancholy, or black bile. Chinese Medicine also concerns itself with the vital principles - precious energies and essences that give life to the organism. Perhaps the best known is Qi, which is Chinese Medicine's equivalent of pneuma and the Vital Force. 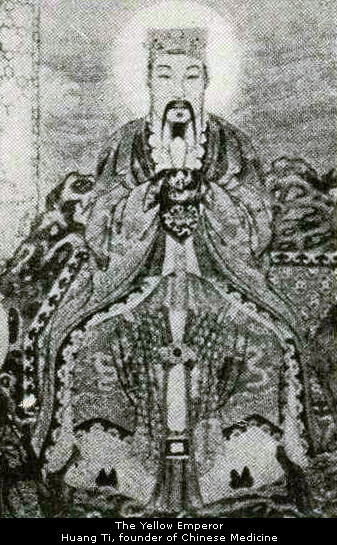 Qi also has the same associations with the breath. The Jing, or essence, is Chinese Medicine's equivalent of the Radical Moisture. And functionally, Shen, or the spiritual essence stored in the heart, is quite similar to what Greek Medicine calls the Vital Spirits. The rough equivalent of the Innate Heat in Chinese Medicine would be Yang or the Ming Men Huo, or the Life Gate Fire, which is stored inthe kidneys, not the heart. The Chinese Five Elements aren't really elements in the Greek or Western sense of the word. In Greek Medicine, the Four Elements are the basic constituents of matter. In Chinese Medicine, the Five Elements, literally Wu Xing, or the "Five Goings", are more dynamic and energetic in nature, and are really the Five Phases of Energy Transformation. Nevertheless, there are some interesting parallels that can be drawn between the two systems. Of the Chinese Five Elements, three bear the same names as their Greek counterparts: Fire, Earth and Water. The remaining two, Wood and Metal, are different. It's in the first three that the similarities lie. In the Chinese system, Fire is the energy of transformation. That's essentially what Fire, the most dynamic and energetic of all the elements, is all about in the Greek system: digestion, metabolism and transformation. The Chinese Fire element is centered in the heart and pericardium; in Greek Medicine, the Innate Heat, the most basic and primal manifestation of the Fire element in the human body, is also centered in the heart. In the Chinese system, the energy of Earth draws things in towards the center. Earth's organ, the spleen, holds things in and prevents them from escaping. In the Greek system, the Earth element's humor, black bile, which is stored in the spleen, has a Retentive Virtue that holds things in. In the Chinese system, the kidneys are the principal organs of the Water element. In the Greek system, the kidneys produce urine, which is the waste product of the Water element, and the body's main form of liquid waste. Chinese Medicine, like Greek Medicine, is deeply committed to using natural medicines and treatments, and to working with Nature to strengthen and aid the inherent constitutional resistance and recuperative powers of the organism. Both Chinese and Greek medicine have gained a reputation for the safe, gentle, yet effective nature of their treatments.